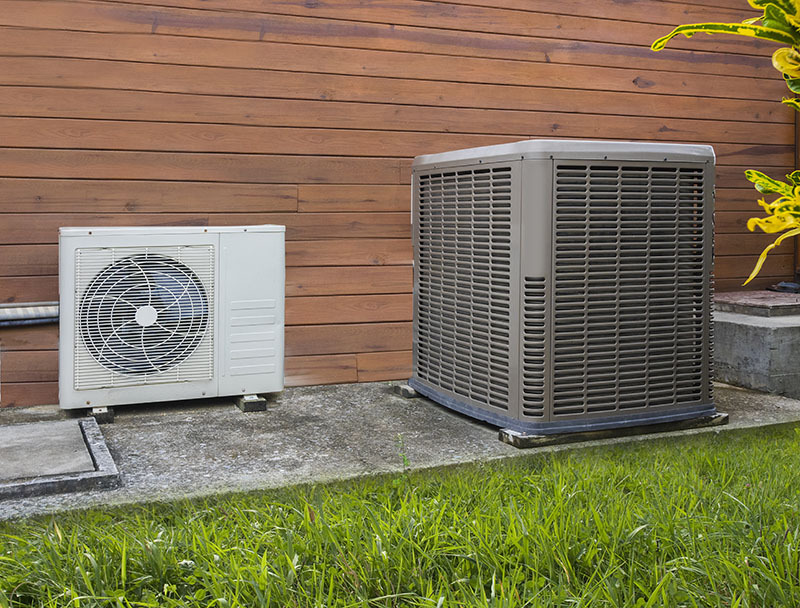 This post is the seventeenth in a multi part series on swamp cooler maintenance, repair, and replacement options like a heat pump. If you haven’t read the previous parts, I recommend you do before continuing. This allows heat pumps to remove heat from the inside of your home and deposit it outside during summer, and reverse the process for winter, drawing heat from the outside air and depositing it in your home. Unfortunately, in many homes that were designed to work with conventional heat and AC, a heat pump alone may not be enough during the hottest part of summer or the coldest part of winter. For this reason, it’s common to add a heat pump to an existing system. The most obvious benefit of this arrangement is increased efficiency – but that’s not the only benefit. Energy savings – the efficiency of these units means lower utility bills. One unit handles heating and cooling – just flip the switch seasonally and your heat pump can do it all. They can act as a backup source of heat – adding a heat pump to your existing system gives you redundancy. Then, if your furnace goes out in the dead of winter, you won’t have to worry about freezing pipes or inhospitable temperatures while you’re waiting for repair. If you live in the city this might not be that big of a deal since you can get an HVAC repairman out so quickly. If you live in a rural area or your furnace requires major repair; however, having this backup might save you a massive headache. Check back soon for How to maintain your swamp cooler, when to replace it, and what to replace it with, part 18. In the meantime, check out our page on heat pump installation.